The Woolgatherers is not set up with a bounty of looms that can be used for instruction. I have chosen to teach individually - tailoring the lesson content to the student. Instruction is set up by appointment and at that time, content will be set up. 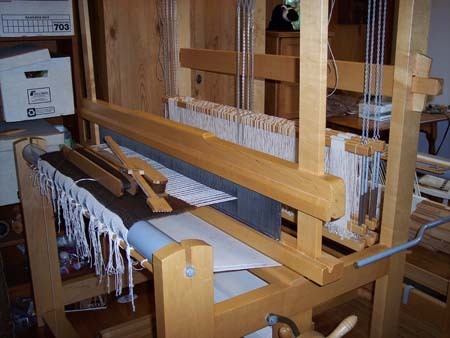 For warping instruction, a table loom on a stand, a small counterbalance and a small countermarche are available. The intent is to match the loom to the student based on what loom they are using at home. Any table or floor loom small enough to come through our front door (36") may be presented for instruction. CALL 920-907-0510 OR EMAIL info@woolgatherers.com to schedule your class. 1. 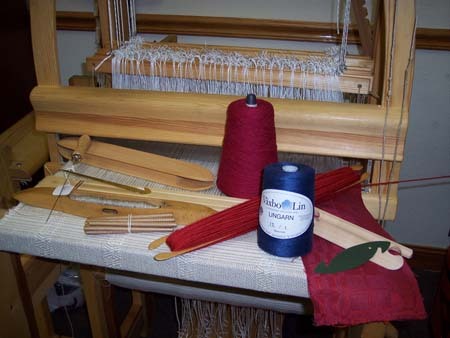 Setting up the loom and use of weaving tools. This includes consideration of loom type and model as to how it relates to the cloth produced. Warping instruction is based on adapting solid warping methods (back to front) to your particular set of equipment. A variety of warping tools, shuttles, temples and accessories are available to try out. 2. Drafting techniques for independent design. Drafting is a process that is essential to weaving. Beginning with learning what are essentially mapmaking skills, the weaver will begin to form a drafting style that is customized to the way their brain functions. New drafts and those taken from books will then be matched to this custom drafting style. 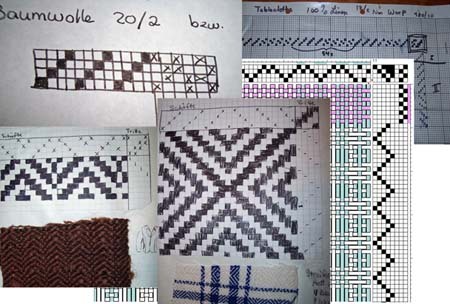 The basic structures of single layer weaving play a central role. 3. Study of materials and their properties - as they relate to weaving. This includes fiber properties, spinning techniques and how they affect finished weavings, yarn numbering systems and classifications, sett determination, finishing and care of fabrics. Choice of materials is a very important factor in a successful project. Just the number of strands or plies in yarn construction make a great difference. 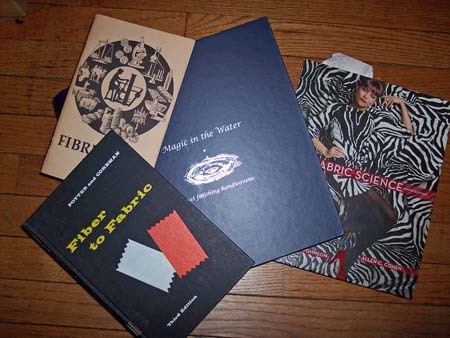 Look in depth into fibers and their properties, yarn construction, color, texture and more. Chrome browser does not play these. Use EDGE or Explorer instead.